Located amidst imposing mountains in Karnataka with a perpetually misty landscape, Coorg is the place to be for all nature lovers. This popular coffee producing hill station is not only popular for its beautiful green hills and the streams cutting right through them. It also stands as a popular destination because of its culture and people. The Kodavas, a local clan specialising in martial arts, are especially notable for their keen hospitality. 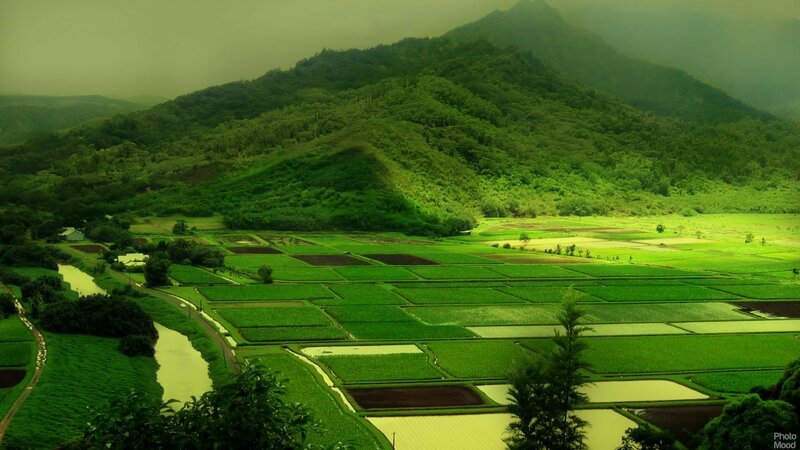 Coorg, officially known as Kodagu, is the most affluent hill station in Karnataka. It is well known for its breathtakingly exotic scenery and lush greenery. Forest covered hills, spice and coffee plantations only add to the landscape. Madikeri is the region's centre point with all transportation for getting around starting from here. On a visit to Coorg, cover the beautiful towns like Virajpet, Kushalnagar, Gonikoppal, Pollibetta, and Somwarpet, and experience the beautiful concept of "homestays" to make your experience more memorable! Abbey Falls, also known as Abbi Falls, is located around 10 kilometres away from the town of Madikeri and is one of the most popular tourist attractions in and around Coorg. The water cascade coming down from the cliff from a height of 70 feet provides a spectacular scene to behold. Nestled within the lush greenery which is typical to the sceneries of Western Ghats, the waterfalls attract hundreds and thousands of people throughout the year - especially nature lovers and photographers. The waterfall is located between private coffee plantations with stocky coffee bushes and spice estates with trees entwined with pepper vines. There is an over-bridge that hangs opposite of the falls, from where the most picturesque scene of white foams gushing down the ridge can be seen, captured and remembered. The flow of the falls leaves a significant amount of water spray on those who stand on the bridge for some time. Some small mountains streams and brooks join together to form one of the most beautiful waterfalls of South India and falling off its cliff as the water flows to join the River Kaveri or Cauvery as one of its tributaries. The walk to the falls from the main entrance has around 200 steps downwards throughout and takes you through exotic coffee, cardamom, pepper and other spice plantations. It is a fantastic opportunity for shutterbugs to capture the real beauty and grace of the natural world. Even though bathing is prohibited in the falls now, the essence of the place itself is quite enough to draw tourists every day. Talacauvery is the source of the river Kaveri, located on the Brahmagiri hill (not to be confused with the Brahmagiri range further south) near Bhagamandala in Kodagu district, Karnataka. It is located at 1,276 m. above sea level. Kodavas have erected a tank which is now considered as its origin. It is believed that the River originates as a spring feeding a tank or a Kundike and then flows underground to re-emerge as Kaveri some distance away. The tank is marked by a temple and bathing in it on special occasions is considered holy. On the Cauvery changrandi day, thousands of pilgrims and tourists flock by the stream to witness the rise of the spring's fountainhead, when the river water gushes up at a predetermined moment. Apart from the birthplace of River Kaveri, the town of Talacauvery is also famous for a temple dedicated to Goddess Kaveriamma (Mother Kaveri). The beautiful temple is surrounded by even more breathtaking hills. The undulating hills and lush green meadows are very picturesque. One can climb the 407 steps to the top of the hill, towards the clouds and breath in the pure and serene air of the natural surrounding. The most interesting thing about the hills is that even when one is standing on the uppermost step, they can still hear the temple bells ringing down below in the temple. With its diversity of flora and fauna, the Nagarhole National Park is one of the best known wildlife reserves in India. It houses not just multiple species of plants and shrubbery but also mammals, reptiles, crawlers and rare birds. Tiger, Indian bison and Asian elephants are found in large numbers inside the park. Other species include leopards, wild dogs, jackals, grey mongoose, sloth bears, striped hyena, spotted dear (Chital), sambhar, four-horned antelopes, wild boars, Indian porcupine. The national park has over 270 species of birds including the critically endangered Oriental White Backed Vulture, the Greater Spotted Eagle and the Nilgiri Wood-Pigeon. Reptiles including the crocodiles, vine snakes, wolf snakes, rat snakes, bamboo bat viper, Russell's Viper and Indian Rock Python are also found here. Namdroling Monastery, situated at a distance of 60 km from the Kaveri Nisargadhama, is the largest teaching centre of the school of Tibetan Buddhism known as Nyingmapa. Thegchog Namdrol Shedrub Daryeling is the full name of the Namdroling Monastery. It is spread over an area of 80 square feet and was built from Bamboo which was donated by the Indian Government to the Tibetans in exile. Today, it houses many auxiliary structures like educational institutions and a hospital, in addition to being home to about 5,000 members of the Sangha community. The monastery was set up in 1963 by Kyabje Penor Rinpoche, the 11th throne-holder of the Palyul school of Nyingma Tibetan Buddhism. Popularly known as the 'Golden Temple', the Namdroling Monastery holds some excellent examples of Tibetan architecture and artwork, as seen with the elaborately decorated temple tower and ornate outer walls, intricately adorned with beautiful murals. The red doors have giant golden knockers. Inside, one has the privilege of witnessing the enormous 40 feet high golden statues of Guru Padmasambhava, Buddha Sakyamuni and Amityaus, surrounded by lovely paintings of various aspects of Tibetan Buddhist mythology. The prayer rituals conducted by the monks are a unique sight that must not be missed. The serene vibe of the place is amplified by the well-manicured gardens that surround the area. Many ceremonies are held in the Namdroling Monastery every year amongst which the Tibetan New Year, which usually falls in February/March as per the lunar calendar, is celebrated with a lot of enthusiasm. Also, traditional Lama Dances along with solemn processions are organised in the monastery which takes place for two weeks. The rich cultural heritage is magnified by the nearby Sera Monastery, Sakya Monastery and Tashi Lhunpo Monastery, marvellous tributes to the ancient and disciplined culture of the Tibetan Buddhists. Barapole river is a famous white river rafting destination in Coorg. The white frothy river with speedy waters and rapids, flowing through beautiful landscapes, makes for an ideal river rafting experience. Set against the backdrop of the Western Ghats and bordering the Deccan Plateau, Coorg is a popular destination among travelers. White water rafting is organized in Upper Barapole are called Kithu-Kakkatu River which is a strong catchment area for the monsoons, thus providing a some of the most challenging stretch of rapids. Experience the thrill of adventure as the choppy waters of the river toss you about and the wind rushes through your hair. The Barapole River surges through dense forests and offers rafting participants a breathtaking view of the Brahmagiri Wildlife Sanctuary. The rapids have some fascinating names like Morning Coffee, Grass Hopper, Ramba Samba, Wicked Witch and Big Bang. Burude Falls is located in the Western Ghats of India, about 20 kilometres away from the quaint town of Siddapur in the northern part of Karnataka. The waterfall is famous for its breathtaking beauty and mesmerising surroundings which consist of lush green forests. These forests are a favourite among medium to advanced level trekkers. The waterfall gets frequent local visitors due to its proximity to Siddapur and is famous as a picnic spot. This remote waterfall offers a stunning panoramic view from the top of the Western Ghats. The sound of gallons of water gushing down the mountains is sure to inculcate a sense of tranquillity in you as you watch the rivulet falling down various levels and forming the beautiful waterfall. The Burude Waterfall is also known as Illimane falls because it is formed of a rivulet called Illimane that flows down the Western Ghats, descending in 5 different levels. Each level creates a separate waterfall ultimately forming a natural pool at the base. The atmosphere is pleasant during the tourist season, and the view is just mind-stirring when the earth is wrapped in a lush green blanket under the clear blue skies. The trek is quite adventurous but is sure to be memorable. Breathe in the fresh air as you explore the waterfall and let nature carry you away to a place we often want to escape to. You are sure to be mesmerised and will want to keep coming back to Burude Falls again and again. Set your destination to the highest peak in Kodagu district of Karnataka. Standing amidst the picturesque Western Ghats and situated in the romantic valley of Coorg, the Tadiandamol peak trek will set your souls free for the nature to capture them and purify. Situated at an altitude of 1,748 m, getting on top of it will give your eyes a treat that is second to none. The trek will introduce you to patches of Shola forests in the valleys Situated at 247km from Bengaluru this peak acts as a perfect trek for those looking to initiate trekking, as it is not physically demanding. This delightful as well as fascinating trek is amongst the ideal ways to discover the bucolic beauty of the Coorg district. Known for its enchanting beauty and appeal, the trek to Tadiandamol peak will introduce you to the magical charm of Kodagu district. Within Tadiandamol peak trek, you can also visit stunning waterfall, experience local life, walk through lush coffee plantations and lot more. While for the adventure junkies, the Tadiandamol adventure in Coorg offers an adrenaline rush, for the peace and serenity seekers, it offers ultimate peace of mind and solitude! A picturesque waterfalls cascading along the Brahmagiri Mountain Range, Iruppu falls is one of the most beautiful tourist attractions in the Coorg district of South Karnataka. These are also known as the Lakshmana Tirtha Falls, a name derived from the tributary of Cauvery River of the same name of which these falls are a part of. Nestled amidst the evergreen woods of the Western Ghats, Coorg boasts of many misty waterfalls. Among them Iruppu is the most popular, not just for its mesmerizing beauty and greenery, but also because of its religious importance. People come here to enjoy the blissful vicinity of nature, the grandeur of the falls and for seeking spiritual peace in the tranquillity of the place. En route to the magnificent falls stands the famous Shiva temple Rameshwara along the banks of the river. Both the river stream and the temple have folklore behind their existences which have roots in the story of the epic Ramayana. The pristine cold water of the Iruppu falls is considered to be holy and possessing powers to clean the past sins of the visiting devotees. A major tourist attraction, the falls attracts a large number of tourists every year, especially during the festival of Navaratri. Located on a lush, green mountain slope, a forest trail leads from these falls to the Brahmagiri Peak. The best time to visit the falls is during the monsoons when they are at their full capacity and hence become a breathtaking sight to behold. The biggest lake in the region of Coorg, Honnamana Kere (Honnama Lake) is a place that must be visited while on your Coorg trip. It is one of the many tourist spots in Somwarpet which is one of the taluks of Coorg. Honnamana Kere Lake is located in Daddamalthe which is quite near to the village Sulimalthe. Sulimalthe village is at a distance of 6 km from Somwarpet town. The Honnamana Kere presents tourists with breathtaking sceneries and amazing photographic opportunities. The environment around is relaxing and calm. It is surrounded by majestic mountains, cliffs and huge expanse of coffee plantations creating a beautiful natural setting. Two hills named Gavi Betta and Mori Betta also cover the Lake. Along with its obvious scenic beauty, the lake has religious importance as well. It has been named after Goddess Honnamma. There is a temple adjacent to the lake as well. The temple is dedicated to the Goddess Honnamma who is said to have sacrificed her life for the wellbeing of the people. Many religious tourists come here to visit the lake. During the festival of Gowri Pooja many newly wedded couples come to visit the lake and pay their offerings. Along with sightseeing, the Lake also offers various opportunities to outdoor activities such as boating and fishing. Raja's Seat, a garden with beautiful flowering plants and skilfully designed artificial fountains, is located in Madikeri in the district of Coorg. The garden was a favorite venue to rejuvenate for the Kings of Kodagu, and they loved watching the sunsets sitting here as they spent some memorable time with their Queens. Even today, the breathtaking view of the Sun setting into the undulated mountains is mesmerizing. The delightful garden here is adorned with a multitude of flowers and is a treat to nature lovers, and the proximity of the location also makes it a preferred picnic spot for the locals. Visiting Raja's Seat is an excellent way to get a glimpse into the lifestyle of royal indulgence in Coorg. The Raja's Seat has been built on an elevated ground overseeing the valleys that lie to the west. Early mornings are usually misty and cold, but as the sun rises, the mist clears slowly offering a mind-stirring view of the lush green gardens adorned with colourful seasonal flowers beds. The sunsets are equally splendid as the day slowly ends with the Sun setting in the mountains. There is also a Toy Train available for your little ones to take a ride on and the fountains have been modified into musical fountains. Today, this place is managed by the Archaeological Survey of India and is considered of historical importance in the country. The Raja's Seat Garden is known for its beautiful seasonal bloom, panoramic view and picturesque location making it an apt attraction for Nature Lovers. Lying in the Western Ghats of Karnataka, Coorg, also knowns as Kodagu is undeniably a breathtaking hill station yet it offers its tourists much more than scenic beauty. Omkareshwara temple, one of the popular sightseeing places of a Coorg is one such example. Built in 19th century, in 1820, by King Lingarajendra II presenting an interesting architecture that attracts not only devotees but everyone. Irrespective of which faith you are from, its unique blend of Gothic and islamic architecture is worth exploring. This temple is dedicated to Lord Shiva. Madikeri Fort is one of the popular tourist attractions, which was built in 17th century by Muddu Raja using mud. Tippu Sultan rebuilt the fort in granite and renamed it as Jaffarabad. Linga Rajendra Wodeyar II again reconstructed the fort in mortar and brick between 1812 and 1814. Stone formation of a tortoise, which bears the initials of King Vijayarajendra, can be seen in the palace. Towards the north-east corner of the entrance, two life size stone replicas of the royal elephants that were killed by King Veera Raja have been installed. In the south-east corner of the palace, lies a church which was built by British in 1855. Popularly known as St. Mark's Church, this Anglican Church has been built in gothic style. Lately, archaeological department has converted this church into a museum, which houses historical artefacts. The museum also has a section dedicated to Field Marshal Cariappa. District Prison, the Kote Maha Ganapathi Temple and the Mahatma Gandhi Public Library are the other major attractions of this fort. The Nilakandi Falls are located the midst of the dense tropical forests of Coorg and trace their source somewhere in the Thadiyendamol range. It is a picturesque and serene waterfall that lends trekkers a wonderful waterfall shower experience Honey Valley is a 56 acre privately owned resort, situated 4 kilometers from the Kabinnakad bus stop that is close to Kakkabe. A forty five minute easy walk through more or less level leads you to Nilakandi Falls from Honey Valley. A three kilometer trek from the Honey Valley Resort takes you to the stream that flows down from the Nilakandi Falls. This is a great place for a shower since the waterfall is merely 15 feet high. The source of the waterfall, a small lake is located another four kilometers away. You can choose to climb further to reach the top of the waterfall, else return to Honey Valley via the same route. Somwarpet is one of the various tourist attractions located in the district of Coorg. The town several tourists offering them with amazing holidaying options. There are many tourist posts in the region. Once here, tourist will have many options to keep themselves engaged. There is a village named Doddamalthe village which is located 6 km away from Somwarpet. The village boasts of a mesmerising lake called Honnamana Kere which is said to be the largest lake in Coorg region. The place is captivating with its natural beauty as is surrounded by lush greenery and huge expanse of coffee estates. The place holds religious importance as well. Every year during the festival of Gowri, a special pooja is held at this place where offerings are made to the Goddess Honnamma. The Pushpagiri Wildlife Sanctuary in Somwarpet is not unknown to most of us. One of the three wildlife sanctuaries in Coorg, Pushpagiri Wildlife Sanctuary offers its tourists with rich flora and fauna. It is an amazing spot for trekking as well. Bird watchers will also have amazing time here at the sanctuary which is home to many residents and migratory birds. Another tourist spot that promises few memorable moments is the Mallalli Falls, which is just 25 km away from the town. Pushpagiri Wildlife Sanctuary is located in Somwarpet taluka of Coorg district and is one of 21 wildlife sanctuaries in Karnataka. This sanctuary is home to rare and endangered birds and hence, is designated as one of the important bird areas of the world. Within Pushpagiri Wildlife Sanctuary, there is Kumara Parvat peak, which is the highest peak. This sanctuary is joined with the Bisle reserve forest in north and Kukke Subramanya forest range in west. Visitors can find several plant species like Albizia lebbeck, Artocarpus lakoocha, Dysoxylum malabaricum and Mesua ferrea. Indian Wild Dog, Brown Palm Civet, Indian Giant Squirrel, Indian Hare, Spotted Deer and Sambar are few of the animal species that can be spotted there. Other species like Indian Muntjac, Gaur, Asian Elephant, Wild Pig, Giant Flying Squirrel, Travancore Flying and Stripe-necked mongoose can also be found at the sanctuary. Bhagamandala is situated in the scenic foothills of Talacauvery, at a distance of only 39 kms from Madikeri. Talacauvery is the source and origin of the River Kaveri, which is often referred to as 'Dakshin Ganga' which means 'Ganga of the South' and is one of the seven sacred rivers of the country. A bath in the holy waters of the Bhagamandala is not only extremely sacred but also a very spiritually uplifting and cleansing experience. Immersing in the pure and thoroughly enchanting waters of the holy Triveni Sangam has an infinitely positive effect on the mind, body and soul. Bhagamandala is also popularly called the 'Triveni Sangam'. Tri means three and Veni mean stream - and thus named Triveni Sangam is a sacred confluence of the three rivers- the Kaveri, the Kannike and the mythical river Sujyoti. It’s called a mythical river because legend says that the river Sujuyoti flows underground until it meets the sangam, and then it expands into its merry flow. A lot of people choose this sacred location to perform the last rites of their deceased, or perform rituals in the memory of their ancestors. They believe the sacred waters of the Triveni Sangam will bring peace and purity to the souls of their late loved ones. The Skanda Purana says that Bhagamandala was previously known as Bhaganda Kshetra in the ancient times. It was then renamed after a great sage named Sri Bhaganda Maharshi, who lived there in an ashram with his many disciples. Taking individuals deep inside the Brahmagiri Wildlife Sanctuary, the Brahmagiri trek is a delight with its myriad offerings. The route traverses lush forests, green grasslands and countless small streams and rivers. It is located on the border between Wayanad District of Kerala state on the south and Kodagu District in Karnataka on the north side. The peak of the hill is well-forested and is rich in wildlife. The primary attractions around this trek are the Iruppu Falls, the Thirunnelai Temple which is dedicated to Lord Vishnu and Pakshipathalam which has a cave that is legendary for being a haven for ‘rishis’ primeval times. Coorg is not only a destination that is famous for its amazing beauty and breath-taking views but is also one of the best-known places for shopping. Though the place is small as compared to the other big lavish names, still the place is one of the most preferred choices of many people for relaxing and finding some peaceful time with the loved ones. The people who have visited Coorg before are aware of the great variety of stuff this place can offer them. However, the scene is pretty different for the first-time visitors. Gaddige also known as Raja’s tomb is located in one of the beautiful hill station of Karnataka, Madikeri, Coorg. The monument depicts the pervading building style of those days which was Indo- Sarcenic. The monument contains the mortal remains of the royal Kodavas. Gaddige or the tombs are built in Muhammadan style with tombs at the center and turrets at the corners. Nandi figures are carved on top of the corners. The entrance of the tombs has carvings too. Lord Shiva is placed and worshipped inside the tomb since the king was Hindu. This is a very fascinating fact because most of the tombs belong to Muslim kings and dynasties. There are three tombs built for the royal dynasty. The central tomb which is the largest among the three is of Kodava king Doddaveerarajendra and his wife Mahadeviamma. The right tomb built by Chikkaveerarajendra for his father Lingarajendra in 1820 A.D. The left tomb belongs to Veerarajendra’s guru Rudrappa built in 1834 A.D. Closer to the tombs is the burial place of the two brave royal officials Biddanda Bopu and his son Biddanda Somaiah who sacrificed their life fighting with Tippu Sultan. Mallalli Falls, the stunning milky white waterfalls, lies in the northern region of Kodagu district in the south-western Indian State of Karnataka. These falls lie 26 kilometres away from the town of Somwarpet, at the foot of the Pushpagiri Hills. The falls originate where River Kumaradhara takes a deep plunge of over 1000 metres and then follow a natural route that ends into the Arabian Sea. These gorgeous waterfalls are sure to take your breath away. The heavenly scenery with lush green forests and the clear white waters of River Kumaradhara falling deep from the point of origin of the waterfall is a marvellous sight never to be missed. Mallalli Falls is one of the most mystifying waterfalls in Coorg, Karnataka. This mesmerising waterfall is often spoken about along with the Abbey Falls in Kodagu, and their beauty cannot be compared with any other natural water body. Mallalli Falls are seasonal falls and are best witnessed during the monsoons. They fall from a height of 1000 metres sequentially in two tiers. You'll know how beautiful the falls are right from the moment you spot them from the base. As you walk ahead, hear the heavenly sounds of the falls increase in volume and when you trek up to the location, feel the freshness in the air, and the cool water drizzle on your face as you watch the striking falls up close and personal. Whether a nature lover or not, this site should be included in the list of attractions to be visited this year. Kutta is a small town in Karnataka that connects the several tourist attractions surrounding it. Serving as a gateway, it is easily accessible by road. Without any major tourist attraction of its own, Kutta is a small border town in Kodagu (Coorg) district of Karnataka serving as an entryway to few other popular tourist attractions. With a few options of a home stay, Kutta is mainly known for serving as a gateway to the Nagarhole National Park, especially for tourists coming from the Kerala side. Another wildlife sanctuary that lies in Kutta is Tholpetty (shortly after you cross Kerala). Apart from that, you can also visit Iruppu Falls, a short drive into the jungle and to Kabini backwaters. Blessed with nature's beauty and tranquillity, Kutta is a place worth visiting. Too bored of all the places around? Plan a refreshing trip to the Brahmagiri Wildlife Sanctuary with Nagarhole National Park to its North-West. The sanctuary covers an area of 181 square km. The sanctuary has got its name from the Brahmagiri Park which is the highest peak with a height of 1608 m. The primary vegetation of the sanctuary includes evergreen and semi-evergreen forests, shoal forest patches in grasslands and bamboos. It is a beautiful site to enjoy the natural beauty and take a relaxing walk away from all the hustle. Brahmagiri Wildlife Sanctuary is also home to many animals including macaques, gaurs, elephants, tigers, leopard, cats, wild pigs, Nilgiri langurs and sloth bears. It is a famous attraction visited by tourists almost throughout the year. It is also famous among the trekkers. It is said by the locals residing there that seven sages meditated on the top of the hill. The sanctuary was established in the year 1974 and is surrounded by plantations of coffee and cardamom. Some interesting birds one can spot in the place include black bulbul, Malabar trogon, and emerald dove. Cobra, python and king cobra are some reptiles which can be easily spotted. Kopatty Hills is one of the lesser known trekking destinations in India. It is the myriad landscapes that such a short trail offers lends the trek its appeal. Located in Coorg district it is a haven for those seeking an off-beat experience. It is a relatively simple route that traverses vast expanses of coffe plantations, rolling grasslands, peaceful streams and dense forests. River Cauvery has lots of fishing camps located on the banks. Valnur, a village near Coorg, is famous for its fishing camps. Although, you will have to be a little careful about the rules and restrictions on fishing in this area. Firstly, you need a license to fish which can be issued at Coorg Wildlife Society's office in Madikeri. Also, fishing at Valnur has to follow 'Catch and release' principle - the fishes you catch need to be released back into the water. This is a part of conservation drive in the region. The place hangs in a sap sweet aroma of the coffee estates which are widespread in the endless stretches of this village makes it a favourite among the Coorg tourist places. The Chettalli waterfall must be in your bucket list as you have to cross two stream and walk a couple of kilometres through the rich shola forests and thick coffee plantation to reach the falls. The interesting fact about Chettali is that it is home to the Indian Institute of Horticultural Research and is one of a kind the entire country. The temple at Todikana is the landmark from where one starts hiking and walking towards the falls. Rameshwara temple is a popular temple with a deep historical background. According to a famous legend, once Rama and Lakshmana passed along the Brahmagiri Range Rama asked for drinking water. Lakshmana shot an arrow into the top of the Brahmagiri peak and brought into being the river is called Lakshmana tirtha. The Rameshwara temple belongs to God Shiva and thousands of devotees gather on the day of Shivaratri. The devotees believed to possess the power to cleanse sins. Remshwara Temple is situated on the banks of Lakshmana tirtha river and foothill of the Brahmagiri range which bordered to Kerala state. The brahmagiri range located next to the temple which takes hardly 2 hours to get there within the thick rainy forest. The trail starts from the Irupu falls to brahmagiri range. Nalknad Palace is located on the foot of Tadiyandamol Hills, which is the highest peak in Madikeri. Built by Dodda Virarajendra in 1792, this palace originally was property of Hindu King Langaraja. This double storied building served as a hunting lodge for the Kodava kings. With intricate wood carvings, low slung conical roof, crested dome and pillared facade, the palace is an architectural wonder. The courtyard of the palace is decorated with statues of four bulls. The entire palace is decorated with ancient paintings attracting tourists. Coffee and spice plantations and lush greens are home to a variety of exotic flora and fauna. The vegetation is ideal for native, rare, endangered - all sorts of birds. Coorg houses over 300 different species of birds. Nagarhole National Park and Anekad Reserve Forests are the best places for bird watching. Once a training site for elephants of the famous Dasara procession in Mysore, the Dubare Elephant camp offers a unique adventure to visitors by allowing them the experience of living in coexistence with the trained elephants on-site. Once an important camp of the Karnataka Forest Department, the Dubare Elephant Camp, now run by private players, is an ideal destination to learn about the various aspects of the history, ecology, and biology of elephants, as well as see a large number of Asiatic elephants stroll through peacefully as they enjoy their natural habitat. Naturalists and mahouts trained in the art of handling these majestic creatures are ever-present throughout the camp, offering various insights to passers-by regarding these gentle giants. Apart from the wonders of observing and interacting with the massive elephants, visitors to the site are also privy to the incredible biodiversity of Coorg and have the opportunity of viewing birds such as peacocks, partridges, kingfishers, and woodpeckers. The surrounding greenery is also home to the spotted deer, tigers, wild dogs, and bears, making this location an ideal destination for ecotourists.